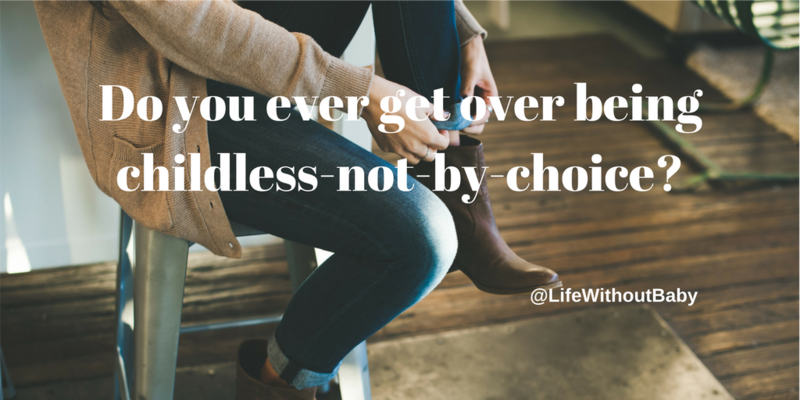 Do You Ever Get Over Being Childless-Not-By-Choice? I’ve run this post several times over the years, but it remains one of the hottest topics and the question I’m most often often asked. If you’ve been a reader for while, think of this as a chance to look back and see how far you’ve come. The question is: is it possible to ever get over being unable to have children? When I was 15, my dad passed away suddenly and everything changed for me. I remember feeling immediately alienated from the other kids in school because I was no longer like them. I felt as if everyone was staring at me to see how I behaved, to see what someone with a dead dad looked like. People didn’t know what to say me, so many just said nothing. Several adults said variations of “This will make you grow up quickly” so I took them at their word and forged a new grown-up path. For many years, my dad’s death defined me and I saw everything in my life through that filter. I felt angry and rebelled against people who had living parents, especially if they didn’t appreciate them. 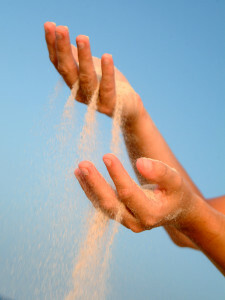 Unexpected things would trigger my grief and those old emotions would come at me from nowhere. Over time, this eased. I went about my life and slowly, the fact that I didn’t have a dad no longer factored in. The trigger situations became less frequent and I thought about his death less and less. It’s now been 30 years since he passed away. His death no longer directly colors my life. It is something I experienced a long time ago and found my way through. I think about him sometimes, but mostly with fondness and only occasionally do I think about the traumatic time around his death. I have never forgotten my dad, nor will I ever forget him. His memory and my loss are woven into the fabric of my being, but don’t identify me as someone who has lost. I can say that I am “over” the loss of my dad, but I will never forget that he’s no longer here. So, now if I go back over this story and replace the loss of my father with the loss of the children I never had, I imagine the story will unfold in much the same way. I’m already on the road to healing. Situations that cause my grief to flare up are very rare these days and the traumatic period of my life is blending into my library of memories. I am well on the way to being “over” infertility and the loss I experienced because of it, but it will always be a part of who I am and I don’t expect I will ever forget. If you’re struggling to navigate the “getting over it” road, you’ll find lots of help and ideas in Life Without Baby: Surviving and Thriving When Motherhood Doesn’t Happen. It’s on sale, along with my first book, I’m Taking My Eggs and Going Home: How One Woman Dared to Say No to Motherhood, for only $2.99 until the end of March.